Don’t worry, I’ve not purchased a piece of Ikea furniture. Nor is this the opening chapter to a Kurt Wallander novel. 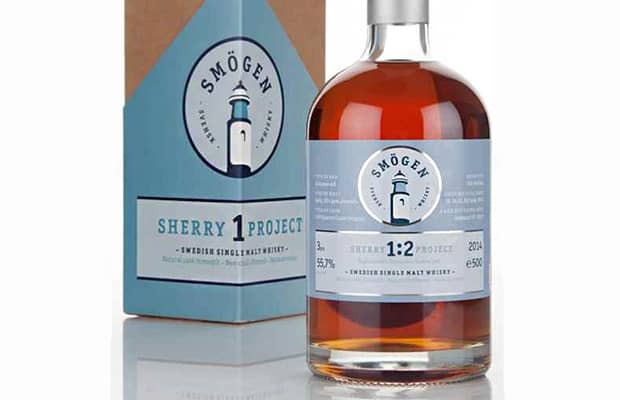 No, the umlaut and my abuse of clichés means it’s time to enthuse about Swedish whisky – and this one is from a small distillery called Smögen. A little history for a young distillery: Smögen Whisky was established in 2009 by Pär Caldenby, who had written Enjoying Malt Whisky a few years prior. Pär’s aim was to produce a hand-crafted, smoky whisky in small batches. And lo! 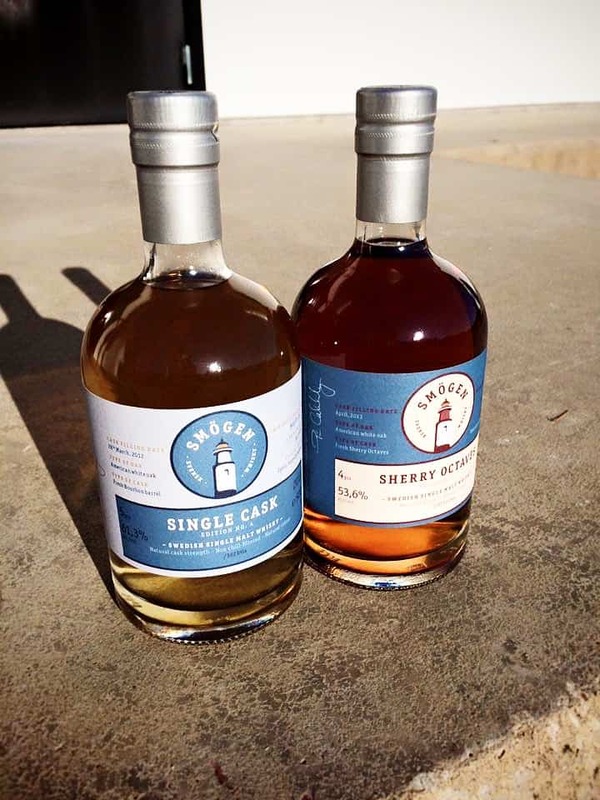 Smögen Distillery itself was spawned – like some forgotten Norse god upon the rocky shores north of Gothenburg. But small is indeed the word. Smögen’s production capacity is a mere 35,000 litres. Let me put that into context: Edradour – the smallest traditional distillery in Scotland – has a capacity around three times the size of that. 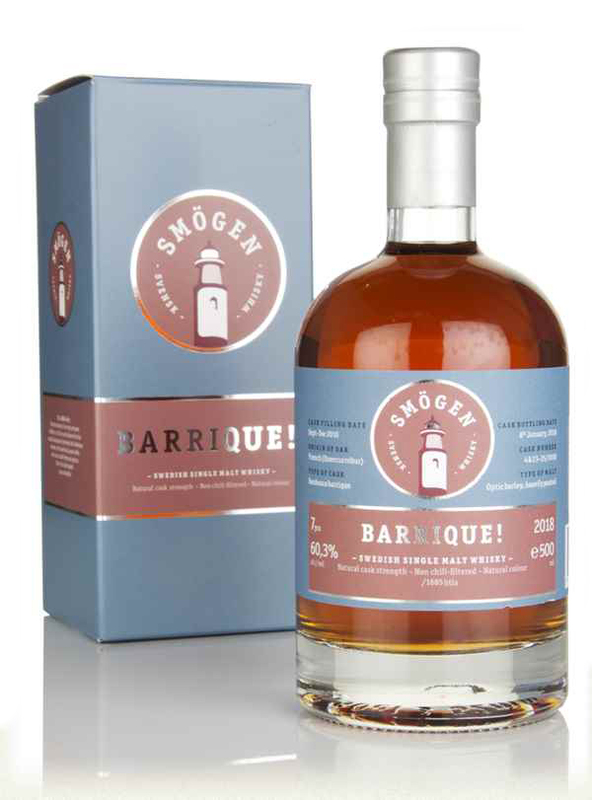 Smögen’s first distillation was in August 2010, and the results bottled in November 2013. That first bottling is called ‘Primör’. It’s a vatted malt, composed of whisky that has lived for three years in European oak casks as well as former Bordeaux wine barrels. 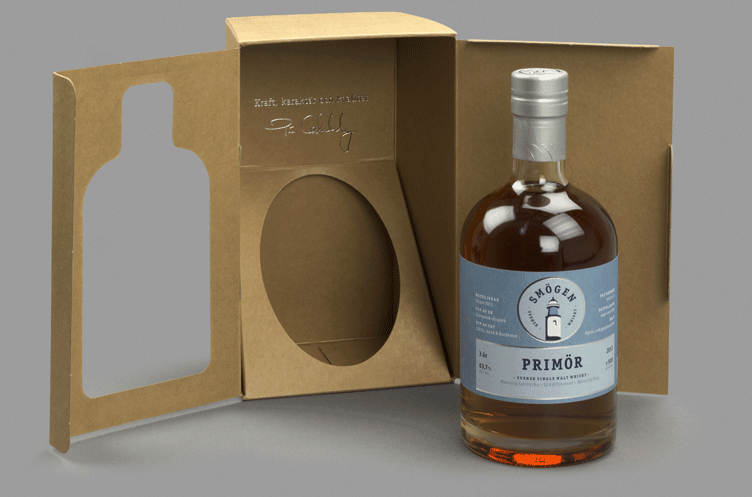 Smögen Primör is peated to 45ppm and bottled at an eye-watering 63.7%. As you’d expect with a hand-crafted whisky like this, there is no chill-filtration or colouring. Colour: like a russet apple. Three years you say? Well, there’s some pretty hefty wood influence here. On the nose: peat, but what an unusual scent. For such a high strength whisky – 63.7% – you can really get your nose in the glass. I’m picking some radically different spices here. Nutmeg, perhaps. Ground coriander. Caraway seeds. Tobacco – actually, more like tobacco ash. This is a world apart from other peated whiskies. Then fennel. Blackcurrant leaves. It’s always changing. Three years! In the mouth: Lovely balance between sweet and sour flavours. Tannins. A lot of oak. There’s a lot of wood influence here. Touch of Chinese Five Spice, maybe coriander again, and (very) stewed fruits. Mulled wine. As for the peat, imagine young Bruichladdich Octomore and you won’t be far off. And as with the Octomore, the peat and smoke are in fact very tightly bound with the whisky – it doesn’t bounce off into your face. Not especially viscous either, this one. At the end the flavours fall out sharply, but you’re left with burning embers for a very long time. It’s very much an in-your-face whisky, but I like that – and what can you seriously expect for three years of maturation? It’s got chutzpah and surprising subtleties for its age. The huge ABV doesn’t feel all that big either – this is very approachable stuff. Smögen is the kind of whisky that puts a boot up the arse of age statements. 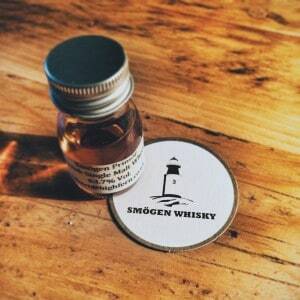 I won’t patronise Smögen by saying ‘watch this space’ – just get the damn whisky if you can. It’s good to go!